This intent of this blog post is to give an example in the real world, where the following Biblical Principle is found: THE GREATER THE AUTHORITY YOU COMMIT A CRIME AGAINST, THE GREATER THE PUNISHMENT WILL BE. We see this all throughout the real world. 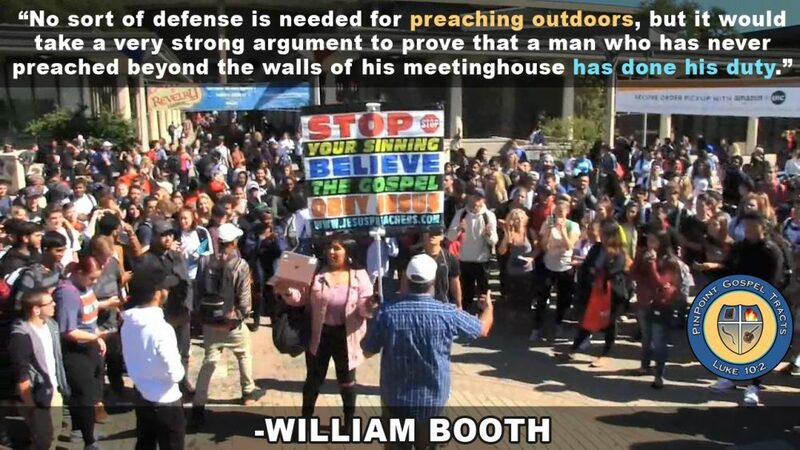 For example: If someone were to come up to me while I’m open air preaching and slap me in the face, they MIGHT get in trouble with the law (depending upon whether the cops are lawful or not), but it wouldn’t be a very harsh punishment. However, if that same person goes up to a police officer and slaps him, they would be in MUCH BIGGER TROUBLE. Finally, if that same person slapped the President of the United States, they would be in EVEN BIGGER TROUBLE with the law. Recently (about 3 months ago now), I was made aware of an example like this. It almost immediately made me think of this principle. Sacramento, CA Mayor Kevin Johnson, a former star NBA point guard, had a coconut cream pie shoved in his face at a public event. Was Kevin Johnson hurt? No, not really, except maybe his feelings/pride. Was he bleeding or injured in some way? No. Did he have to go to the hospital? No. Sean Thompson is the guy’s name and he was arrested on charges of felony assault of a public official and misdemeanor battery. 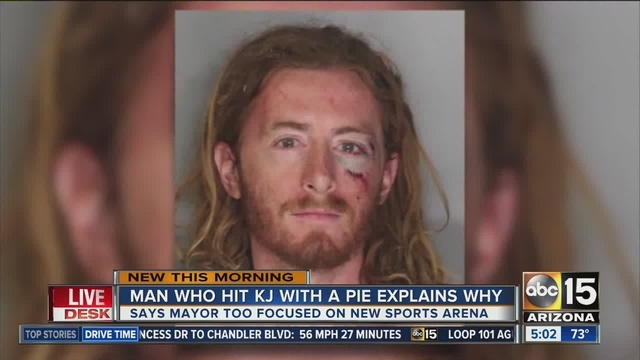 As stated in the article, Thompson said, “I don’t think that was an appropriate response to a pie to the face.” We see this principle at work in this situation: THE GREATER THE AUTHORITY YOU COMMIT A CRIME AGAINST, THE GREATER THE PUNISHMENT WILL BE. Kevin Johnson beat up Thompson and didn’t commit any crimes, while Thompson “assaulted” Kevin Johnson and committed a felony. In the end, Thompson was “hurt” and will be “hurt” much worse than Mr. Johnson. He was beat up and will be punished by the law of the land. This is similar to what happens in regards to the Doctrine of Eternal Hell. Sinner’s “hurt” God, but in the end they will be “hurt” much worse. Except in the sinner’s case, he is CONSTANTLY, day in and day out, “throwing pies in God’s face” every time he sins. And the sinner isn’t doing this against the Mayor of Sacramento, who is a former star NBA point guard. He’s doing it against the Sovereign Ruler of all the Universe. And in the midst of his “pie throwing,” God is just sitting their and taking it. He’s being very patient with the sinner, wanting him to come to repentance and receive mercy. God is constantly reaching out to the “pie throwing” sinner, by many means. He uses gospel preachers, His Holy Word, the sinner’s God-given conscience and the conviction of the Holy Spirit. He uses all sorts of means to get the sinner to turn from his rebellion and most choose not to. Most just keep on “throwing pies.” Well, when you constantly and unashamedly sin against the HIGHEST AUTHORITY in the Universe and despise His offer of mercy, what do you think He will do to you in the end? Just think about how many times a person sins against God throughout their lifetime. Let’s say that the average sinner sins against God 3 times a day over a 60 year period of time. Three times a day is a very conservative number, but let’s go with it for this example. That would mean that each sinner averages sinning against God over 65,000 times over a 60 year period of time! That’s a lot of crimes committed against the Creator of the whole Universe! What would an earthly judge do to someone who has committed that many crimes? He would give him the worst punishment possible! Since God is the greatest authority in the Universe, when someone sins against Him they deserve the greatest punishment. This is especially true in light of how much God offers His enemies, in order to give them what they don’t deserve: His Mercy. What greater punishment could there be than eternal torment in fire? I can’t think of one. And this is what awaits every unrepentant sinner: drunkards, liars (including guile, white lies, half-truths and fibs), thieves (no matter the size or value), fornicators (sexual activity outside of marriage), homosexuals, transgender people, Hindus, violent people, prideful people, backbiters, slanderers, railers, Buddhists, gossips, lustful people, covetous people, murderers, Muslims, divisive “christians”, selfish people, Mormons, haters, potty mouths, idolaters, Jehovah Witnesses, contentious, racists, drug-users, etc. Don’t go to that place! Don’t get what you DESERVE: Hell-Fire Forever! REPENT AND START FOLLOWING JESUS INSTEAD! This entry was posted in evangelism, Parables, Theology and tagged annihilation, annihilationism, doctrine of eternal hell, eternal hell, evangelism, gehenna, hades, hell, hell fire, jehovah witnesses, justice, kerrigan skelly, mercy, open air preaching, PinPoint Evangelism, seventh day adventists, tartarus, Theology, universalism by Kerrigan Skelly. Bookmark the permalink.